This is one of the most important things you should focus on — your furniture layout. Your room efficiency will mostly depend on the way you arrange your furniture. Golden rule while decorating is to look for ways that will leave as much open space as it is technically possible, while getting all of the essential furniture units you will be using. If you would like to find not just a simple TV stand, but also an extra storage unit, you should take some time to consider what else you are going to store in there. This will, of course, help you to define not only the optimal storage capacity, but also the approximate dimensions of the model you should be looking for. If you are going for an extra storage option, it is highly advisable to think over which storage units will be the best ones — shelves, drawers, cabinets, or even all of the above. 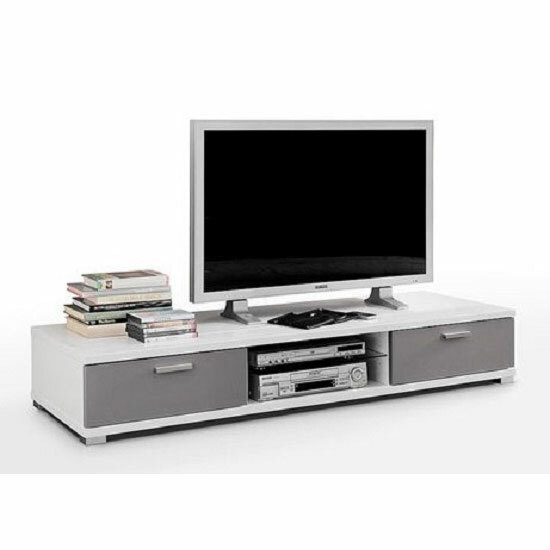 Some spacious TV stand models can easily feature a cabinet, a couple of drawers, and a couple of shelves. Apart from choosing the right size TV stand, you should also pause for a moment to define which kind of materials will be the best ones for your room. Also, consider not that just one material (for example, wood vs MDF), but think over potential material combinations — for example, wood and glass, or glass and high gloss finish. Finally, take some time to consider your colour palette and choose a model that will either contrast or blend in with your environment. Both solutions have their pluses, so the choice here is totally up to you. And, of course, do not forget that finding a TV stand that would fully match your style and storage expectations will be easier if you start your search in big furniture stores. Not only the selection will be more impressive, but the prices will also be more customer friendly — most of the time, in any case. 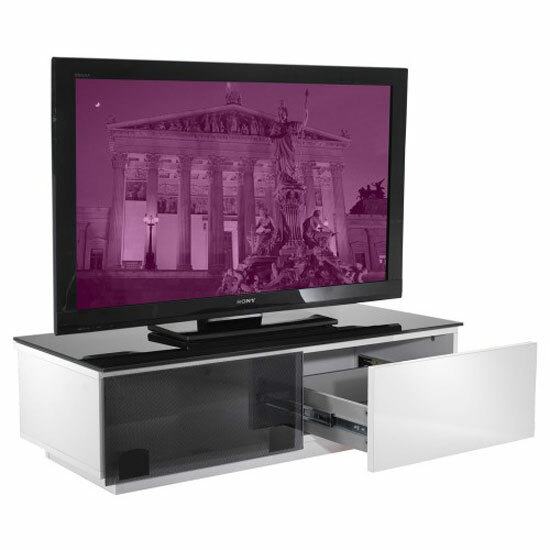 In the UK, a very nice example of a platform that can offer you an amazing choice of quality TV stands is Furniture in Fashion . This is one of the leading local stores, working with some of the most reputable UK and European manufacturers and supplying only highest quality products. You can personally check out the latter statement in a store showroom in Farnworth.